Prestige Lake Ridge is the premium budget homes segment by Prestige Group. 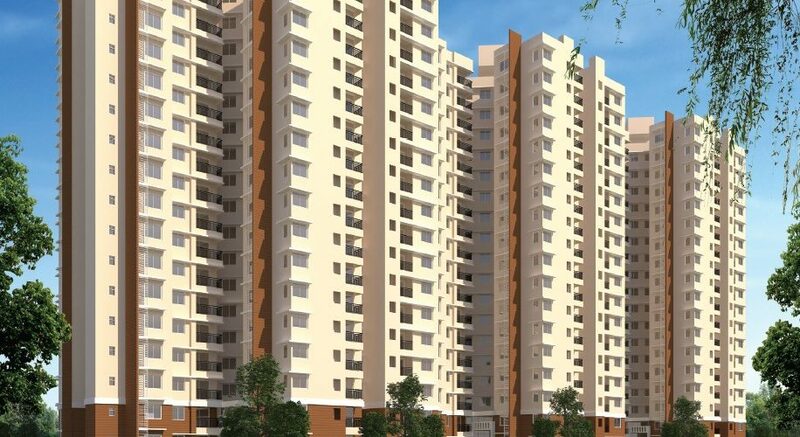 Prestige Lake Ridge is the forthcoming residential development by prestige constructions at Kanakapura road, Bangalore .The looming portrayal is a core of well-designed and spacious residential cut outs. Prestige group is renowned developing group in south India catering to innovative ideas and requirements of the residents over these years. Prestige Lake Ridge Bangalore is blended of 1, 2, 2.5 and 3 BHK residential accommodations being structured for standard living experience. This marvelous plan is totally spread across an area of 15.37 acres sculpted into 12 tall towers divided into 18 floors each hosting around 1119 units in the entire project. The area is skillfully used dividing it into equal portion of built up space and greeneries giving you a perfect balance of stable living. Having strategic location which proximal to major locations of city makes the project more valuable from investment point of view. Prestige lake ridge is gracefully equipped with all the premium amenities that is required to provide you the best high end living and is perfectly adorned by choice of quality. Prestige Lake Ridge is enriched with a perfect balance for luxury and upscale comfort living. The project being outlined by one of the finest trusted architects and interior designers and best technologies, equipped with different supreme features makes it one of the strategic residential cutouts in the market of Bangalore. Where is Prestige Lake ridge located ? Prestige Lake Ridge beautifully located at Off Kanakapura Road. Why Kanakapura Road/Prestige Lake Ridge is such a good investment now ? Bangalore has developed so radically & rapidly and you have sectors that have prospered for one or the other reasons. Amongst them is our upcoming sector Kanakapura Road where your Prestige Lake ridge will be located. Bangalores realty market is expected to grow at the rate of 20-30 per cent annually in next 10-15 years, plus the foreign investment worth $30 billion are supposed to be here. NRIs , who have made Bangalore their homes, prefer to settle in south of Bangalore due to the cosmopolitan crowd in this part of the city, much peace and also to be connected well. Prestige Lake ridge will surely be benefitted from this in years to come. Lets look at how we arrive at the conclusions regarding Prestige Lake ridge. The first part, beginning in the heart of South Bangalore at Banashankari. What is considered as the main area or sector or location of Kanakapura Road today is from the ORR at Banashankari up to the Khodays factory. The Last sector is made of agricultural land which many builders have now acquired for large scale properties and some periphery regions like that of Konankunte, parts of JP Nagar, Uttarahalli and a few other areas are now going to see a lot of constructions. Prestige group is known for giving highest importance to India’s traditional cultural and this has been done by hiring a vastu expert before constructing Prestige Lake Ridge. Prestige Lake Ridge is built according to the guidelines of Vastu Shastra which imparts happiness and good growth.